'Transatlantic' is a novel that sparks. Colum McCann tells the story of a group of characters, all linked in some way, though they live in different periods of history. So, we have a black, runaway slave turned abolitionist preacher; a passenger on board a famine ship; a daring pilot making the first transatlantic crossing in an airplane; a politician trying to make a difference in the Troubles of Northern Ireland; a mother coping with the loss of her home as the bank repossess her house. Each character has a riveting story to tell, but what I find most interesting, and indeed inspiring about this book, is the poetic way in which the author shapes their stories. Like the Irish landscape itself, the book's structure resembles that of a patchwork quilt; a text made up of small, individually sound sections, each one connected to the others by interwoven threads, their tones and colours impinging on those nearest to them, yet all possessing a matching tone that suggest Ireland. Indeed, if these stories were to be given a colour, to represent the nationality of the main characters in each, and were then laid out side by side, I suggest that they would create the Irish flag: green, for the the Catholics, white for the neutral Americans and orange, for the Protestants. Ireland is the theme of the book, and Ireland is spelled out across every page, in the language, the imagery and even the structure. McCann sets out to analyse what it is to be Irish and recreates a sense of that reality, not in a arbitrary way, of statement followed by statement. 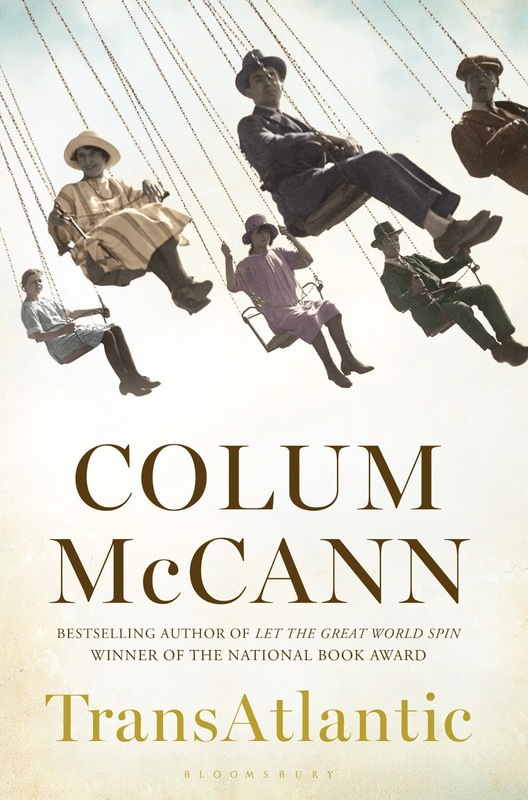 As the rule goes, a writer should not tell but show, and here McCann does precisely that: he shows, through the senses, through imagery, what it is to be Irish. Instead of preaching about the horrors of the Great Famine, he shows us the young, starving mother, cradling a dead child amid a bundle of rags, begging desperately for food to feed the child, denying that all hope is gone. The child is already dead. One tiny, grey arm, flops out at the passing gentry, as if begging still; ghost-like, way past starvation, an assault on moral decency, reminding us all of the horror that took place. There is no need to show us hoards of starving people: one tiny, outstretched arm will suffice. One image is enough to convey to the reader what starvation does to a mother, a country, a nation. Like a poet, McCann places before us an array of startling images, each one working on so many levels, yet sparse in their way. The overall effect is to create something that is uniquely Irish and fresh, making this mostly historical text feel very contemporary. I think McCann manages this by submerging the text in echoes and filling it with mirrors. For example; one story relates the death of a boy on a lake by the family home in Northern Ireland, while another describes the tragic demise of a father and his sons on a frozen lake in North America. While each story happens miles apart, one impacts upon the other, changing it in some way. We see this mirroring effect again when we read about three long walks that take place in the book; one from Dublin to Cork where a famine ship awaits; another across miles of pitiless ground, during the American Civil War, in search of a soldier son; and lastly a modern journey, sometimes by car, sometimes on foot, from Northern Ireland to the south, looking for a home, or the promise of one. While these journeys are important in themselves, taken together, they speak of a people constantly on the move, in search of something better, and prepared to do whatever it takes to survive. Of course this image of humanity on the move reminds us of displaced people all around the world. especially during times of famine and war. In this way, McCann cleverly approaches his themes by visually layering imagery. Indeed, how can one tell the story of Ireland without discussing the often hackneyed topics of famine and war. But by using this original approach, the author requires the reader to make the connections and draw their own conclusions. For me such mirroring of imagery and meaning is best explained when we consider the pivotal arrival of black abolitionist, Frederick Douglass, towards the beginning of the book, arriving in Ireland in 1848, just as the Irish Famine began and the image of a likewise venerated Barack Obama near the book's end. Both men appear to mark a huge shift in the world's thinking, offering hope against prejudice and hatred. It cannot be simply a mere coincidence that McCann brings these two images together. Perhaps it was the similarity between the two events which was the imaginative starting point to this extraordinary text. The book deals with migration and eviction, past and present, one caused by famine, the other by greedy bankers, and all the things that make us Irish - prejudice, war, hunger. It seems that we are continuous beleaguered by the same tragedies. Yet, through it all, women are at the coal face, struggling through and surviving. McCann seems to be saying that the survival of the Irish race is dependent on Irish women, making strong parallels between the female supporters of the abolitionist movement in Victorian Ireland and the Women's Alliance in Northern Ireland during the negotiations of the Good Friday Agreement, and noting the enduring power that can be found in a cup of tea. Images spark off other images to create new meanings in this book, as McCann bridges the gap between novelist and poet. Like Heaney's most recent publication, 'Human Chain', McCann writes of the links that unite us, not only today, but forwards into the future, back the the past and even, sideways, beyond time and space. I urge you to read this book, especially if you are Irish: it may teach you a thing or two about who you are and what it truly means to wear that sprig of shamrock on St. Patrick's Day. It certainly did me.